Amazing Brand New Decorated Model Available for 2 year Lease Back. Ready to close and begin Leasing to you. 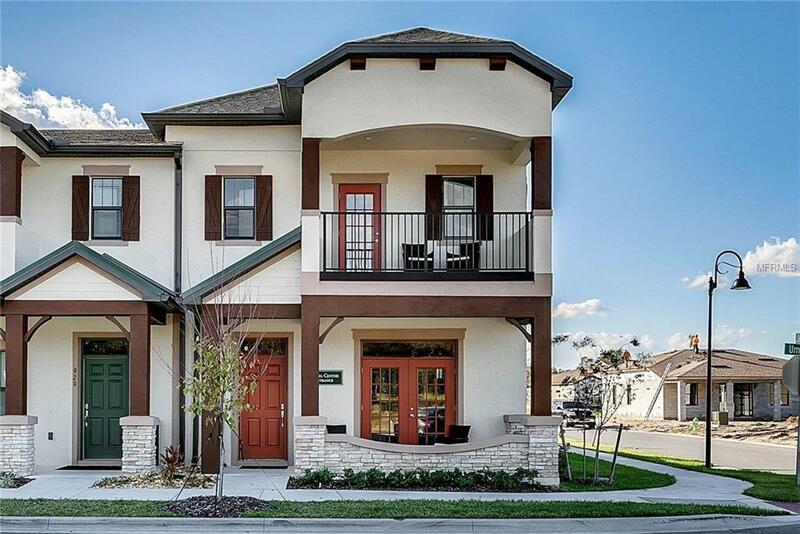 Gorgeous 3 Br./ 2 1/2 bath luxury townhome with 10 ft. ceilings on the 1st floor and 9ft on the 2nd. Two story Block construction on exterior walls and interior wall between homes. Wood Beams in Great Room and Master Bedroom. Kitchen and full baths have Upgraded cabinets and granite counter tops, and stainless steel appliances. Tile floors on entire 1st floor and baths on 2nd floor. Balcony views from Master bedroom. Enjoy a wonderful private Brick Paved Courtyard which features a fountain all completely Screened in. Covered walkway to the rear entry Garage with Brick paver driveway. Listing provided courtesy of 1M REAL ESTATE SERVICES LLC.